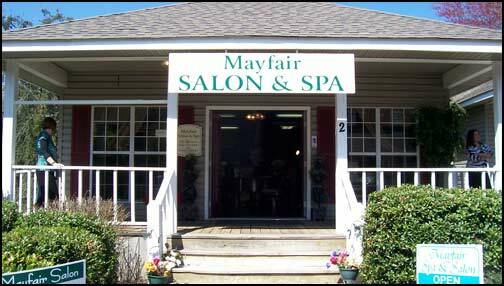 Mayfair Salon and Spa offers a complete menu of services including skin care treatments, waxing, salt scrubs, natural nail treatments, manicures, pedicures, nail art, and hair services. Deluxe European facials, eyelash and eyebrow tinting, cuts and styles are some of our specialties. We offer our clients a holistic approach to beauty, health, and relaxation by incorporating products that are natural, organic, and cruelty free. Gift certificates and spa packages are available.